This is an online resource for ethical questions and answers as they relate to fundraising and planned giving. The NCGPC posts real questions from real people and Doug White answers them. All identities, both of people and places, are kept confidential. We just received a significant payment from a charitable lead annuity trust, which of course is very good news. I wanted to thank the donor but the donor is anonymous, and the attorney we were able to contact — the donor's representative, I presume — said he needs to protect his client's confidentiality and cannot help us. We don't know if our charity is an ongoing beneficiary of the trust, but I get the sense that the donor has the option to change beneficiaries, as well as the percentage of the payout to each one, every year. While on the face of it this is good, given some of the news lately, it occurs to me to wonder if the donor is on the up and up. Could he or she be a criminal or otherwise disgraced person? Is there any way to find out and how should we approach this? The news you are referring to is the number of donors who have been publicly disgraced, including Harvey Weinstein, Bill Cosby, and Cardinal Theodore McCarrick, all of whom (and there have been others) have had honorary university degrees revoked. What to do once you or the media have discovered a problem is one question. Yours, however, relates to how you might be able to learn something at the time of the gift. The financial world is getting on board with this question. KYC — Know Your Customer — is a process a business undertakes to verify the identity of its clients to assess potential risks of illegal intentions for the business relationship. Would that something along these lines were available for charities when they accept donations — and, actually, something is: identify verification services. There are several, and the idea is to ensure that the donor is who he or she says who he or she is. Even though such services are used almost exclusively by for-profit businesses, charities might also see their value. In the end, it's about reputation risk. Even though a price tag is hard to determine, the risk is real, as charities don't have much else other than their reputations to use as a platform for gift solicitations. Whether to engage in identity verification is a business decision that each charity has to consider based on its own situation, including the size of its donor base. But that still doesn't address your problem. Could the lead trust donor — and of course, it could the donor employing any gift vehicle, including an outright gift — someone you'd be embarrassed about if you knew who he or she was? Here's a thought: consider asking your charity's legal counsel to draw up a statement, which the attorney representing the anonymous donor would sign, to the effect that the donor is of good character who comports to the values of the charity and would not be an embarrassment to you. The language would be carefully and exactingly (as much as appropriate) drawn up and the representative's signature would be required before you accept the gift. I acknowledge, this is not a fully satisfactory response on my part, but we're only recently addressing this kind of ethics question. I can't imagine having ever considered this issue ten years ago. While there were embarrassments, they were few and, somehow, at least I thought, not part of society's pattern. While the problem is still not widespread — and I hope it never will be — the number of donors who could prove to be embarrassments to charity seems to be on the rise. If you have a question, please feel free to contact Doug White at dwhitepg@gmail.com. While all issues discussed are real, identities are kept confidential. Doug White, a long-time leader in the nation's philanthropic community, is an author, teacher, and an advisor to nonprofit organizations and philanthropists. He is the former director of the Master of Science in Fundraising Management program at Columbia University, where he also taught board governance, ethics and fundraising. He is the author of four books on philanthropy. His most recent, "Abusing Donor Intent," chronicles the historic lawsuit brought against Princeton University by the children of Charles and Marie Robertson, the couple who donated $35 million in 1961 to endow the graduate program at the Woodrow Wilson School. The family contended that Princeton abused its mandate to spend the money as the donors wished — and as the university agreed to. His fifth book, which is about the crisis that developed at Wounded Warrior Project, the nation's largest Veterans Service Organization, is scheduled for publication in 2019. Since 1979 Doug has advised hundreds of charities of all types and sizes. Today, he works closely with select organizations on ethical decision-making, board governance, and fundraising, as well as with individual philanthropists who want to see their gifts used most effectively. In 1995 Doug testified before a Congressional committee in support of the Philanthropy Protection Act and served as an expert witness for the charitable defendants in a national lawsuit — the "Texas Lawsuit" — that threatened the ability of charities to raise money, primarily through gift annuities. Emails are sent to e-list members with a teaser about the ethical question of the month with a link to the site. Readers are encouraged to submit a question to Doug and/or to disagree with his opinion on the question. Why Should You Read Ethics Corner posts? The primary objective is to establish and grow an ethics-based dialogue about important issues facing gift planners and other fundraisers at charities today. 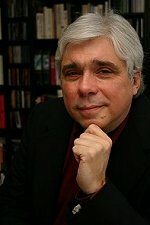 Doug, a teacher of ethics and philanthropy at Columbia University, states that, "Based on the queries I receive, it is clear that those who have worked in this field, even those who have served charities for many years, have too few places to go to discuss issues that are not covered by legislation or the IRS. This site is meant to address that need." We encourage readers to submit a question to Doug at dwhitepg@gmail.com. As ethical decision-making is more of a journey than a destination, we encourage readers' comments and will post representative reactions and opposing responses to the columns. Please send your comments by email ( ethics@ncgpc.org). Be sure you include the topic.